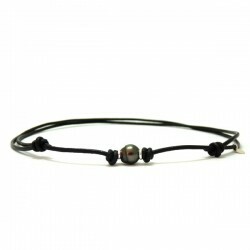 Jewelry with cultured pearls from Tahiti, Japan, Australia and freshwater rivers. Rings, pendants, earrings, bracelets et necklaces with cultured pearls from pearl farms from all around the Pacific. 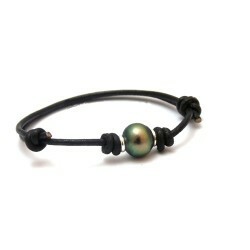 From Tahitian cultured pearls, to freshwater cultured pearls. 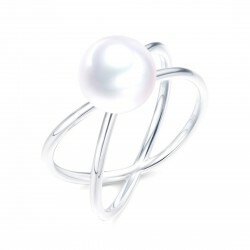 Our online jewelry story guarantees our cultured pearls' authenticity and quality with a certificate of authenticity. 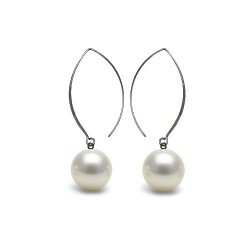 Read our guide on how to choose a cultured pearl if you require some information and details before choosing what kind of jewelry you want. 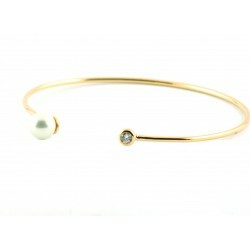 All of our jewelry is made in our workshop in the west of France. 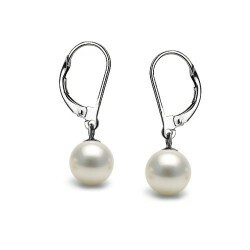 Poemana, the passion for jewelry and cultured pearl. Luxury is affordable. 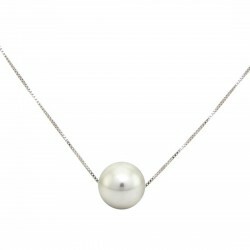 Zora Sterling silver and freshwater cultured pearl pendant. A white cultured pearl on a silver and zircon pendant with zircons. It comes on a 42cm silver chain in option.All our jewelry comes in an individual jewelry box along with a GIA authenticity certificate. 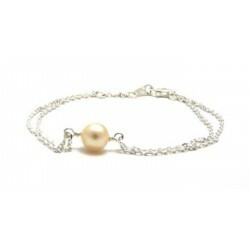 Julia Sterling silver bracelet with a Tahitian circled pearl.A link chain bracelet with a pear shaped circled cultured Tahitian pearl.The bracelet is 18cm in length, and can be extended with an extension chain on request.Circled Tahitian culture pearl, 9mm AA qualityAll our jewelry comes in an individual jewelry box along with a GIA authenticity certificate. 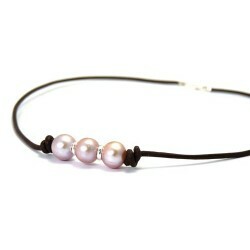 A eather necklace with three pink freshwater cultured pearls. The pearls are separated with a silver ferrule, and the necklace is closed using a silver clasp.There is a choice in leather color.Round freshwater cultured pearls, pink overtone 8mm AA+/AAA quality.All our jewelry comes in an individual jewelry box along with a GIA authenticity certificate. 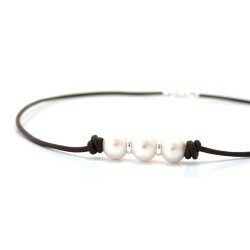 A leather necklace with three white freshwater cultured pearls. 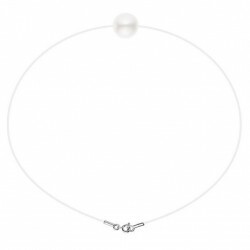 The pearls are separated with a silver ferrule, and the necklace is closed using a silver clasp.There is a choice in leather color.Round freshwater cultured pearls, white overtone 8mm AA+/AAA quality.All our jewelry comes in an individual jewelry box along with a GIA authenticity certificate. Sylia white freshwater cultured pearl Sterling silver necklace.One of our most popular necklaces, thanks to its elegant pearl and ravishing Venetian style silver chain at a very affordable price.Round freshwater cultured pearl, white nuance 8mm AA+/AAA qualityAll our jewelry comes in an individual jewelry box along with a GIA authenticity certificate.